Fresh new site, Always Free Shipping! 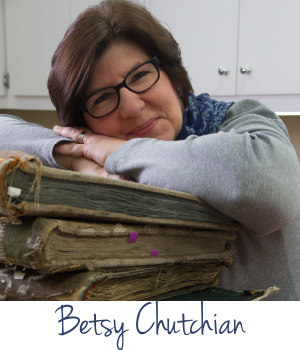 Betsy Chutchian developed a passionate interest in fabric, quilts, sewing and history as a child. After graduation from the University of Texas at Arlington in 1980, Betsy received an antique quilt top made by her paternal great-grandmother and great-aunt. It was then that she taught herself to quilt. Betsy began teaching in 1990 and she shares her passion for quiltmaking and reproducing 19th Century quilts through teaching, presentations and bed-turnings. She is the author of several books – her latest being Classic and Heirloom Quilts published by It’s Sew Emma, and the coming-very-soon Treasury of Quilts from Martingale. Her previous books include: Gone to Texas, Quilts from a Pioneer Woman’s Journal, Lizzie’s Legacy and Just Treats, No Tricks with Kansas City Star. She also co-authored History Repeated, Block Exchange Quilts by the 19th Century Patchwork Divas. Betsy is also the co-founder of the 19th Century Patchwork Divas, a block exchange group dedicated 1800’s reproduction fabric. Betsy’s passion for fabric, fabric study, and antique quilts has led her to design fabric with Moda – which isn’t far from Grand Prairie, Texas, where she lives with her husband Steve and a couple of cats.